We’re getting in the Christmas spirit a little early with Ebenezer’s Christmas Carol, performed by the children’s drama classes. The holiday themed show will run on Friday and Saturday, December 2-3, with ticket cost at $5.00. This production will not only have both children’s drama classes performing, but the younger class, grades 2-4, will also be exhibiting their skills at the beginning of the night in a Reader’s Theater show called Redheaded Robbie’s Christmas Story, according to Shelton Harden, children’s drama program coordinator and director for this production. Ebenezer’s Christmas Carol by Tracy Krauss, written especially for younger actors, is a version of Dickens’s A Christmas Carol . It strikes the perfect balance between a traditional retelling of the classic tale, but with a lighter touch that makes this holiday play ideal for younger audiences. As you well know, Ebenezer Scrooge finds himself on a journey of discovery and growth led by three Spirits. These Spirits, however, are Spirits with attitude and humor. Even Ebenezer surprises us with his cryptic sense of humor. And Tiny Tim’s propensity to annoy could be a bigger problem than his crippled leg! Your holiday season will sparkle with the tradition, fun and buoyant spirit of kindness and generosity in Ebenezer’s Christmas Carol. 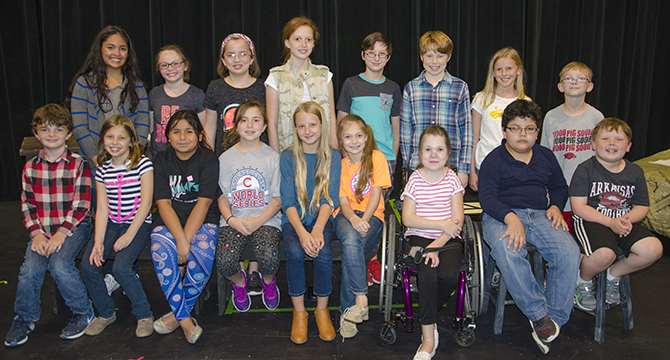 Casting for Ebenezer’s Christmas Carol, Grades 5-8, is as follows; Cooper Carelock will play Jacob Marley, Schoolmaster, Mr. Fezziwig, and a Peddler; Emily Henderson will play a Christmas Present, Belle, Housekeeper, and Woman Two; Grace McNabb will portray Christmas Yet to Come, Freddie and Young Ebenezer; Mary Claire Parker will play Tiny Tim and Young Boy Ebenezer; Lana Rubin will play Fanny, Mrs.Cratchit and Woman One; Maddy Todd will play Christmas Past; Hannia Valero will play Ebenezer Scrooge, and Kaden Wood will portay Bob Cratchit. Drama Class, Grades 2-4 will play Christmas Carolers, Fezziwig Partygoers and Cratchit Children in Ebenezer. Redheaded Robbie’s Christmas Story will feature Chloe Patterson as Narrator 1, Sydney Johnson as Narrator 2, Georgia Blackman as Narrator 3 and Laney McLelland as Narrator 4. Isai Hurtado will play Big Eddie, with Yuridia Romero as Cool Katie, Garrison Griffin as Munching Max, Gideon Moncrief as Mr. Wallace and Micah Lyons as Redheaded Robbie. 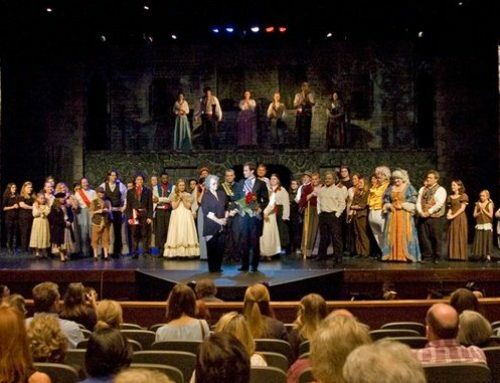 “In our Christmas shows, Ebenezer’s Christmas Carol and Redheaded Robbie’s Christmas Story, you will see some of the best young actors to ever appear on the SAAC stage. The two shows presented by these actors will not only entertain the whole family, but will also remind you of the true spirit of Christmas,” said Harden. For more information on these student performances, please call the SAAC office at 870-862-5421 or visit the website at www.saac-arts.org. South Arkansas Arts Center is located at 110 East Fifth Street, El Dorado, Arkansas.